If you are a fan of NCAA athletics, Charlottesville is the place to be. From the navy and orange ties worn by our restaurant servers to the lamp post banners that line our property, we are engulfed in all things UVA! 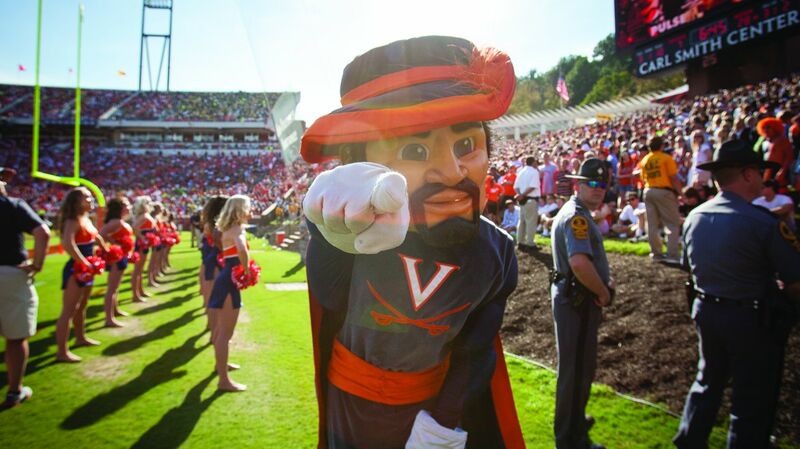 Wahoo fans will enjoy the fact that we are just a couple miles from the University of Virginia campus and grounds making this an excellent option for parents and fans. To learn more about Cavalier sports including schedules and tickets, visit their athletics website. The Boar's Head resort is proud to be the home site for UVA golf, indoor tennis and the newly formed University of Virginia varsity squash program. If you're looking for top-notch facilities during your stay, look no further because you can play where UVA plays!